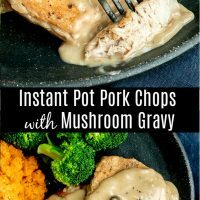 Instant Pot Pork Chops with Mushroom Gravy - Home. Made. Interest. 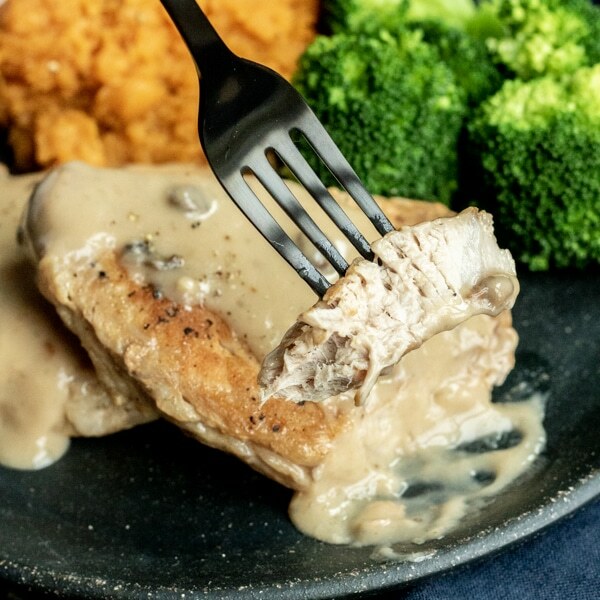 These tender Instant Pot Pork Chops are topped with a creamy mushroom gravy for an easy weeknight dinner that the whole family will love. I’ve made a lot of soups in my Instant Pot but I’m just starting to play around with cooking meats and making sauces. 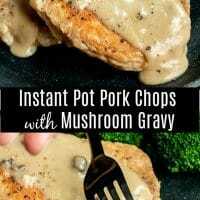 These Instant Pot Pork Chops with Mushroom Gravy were a huge hit, and super easy to make! 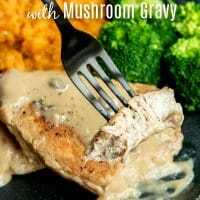 The pork chops were moist and tender, and the mushroom gravy was perfectly creamy and coated the pork chops in flavor. 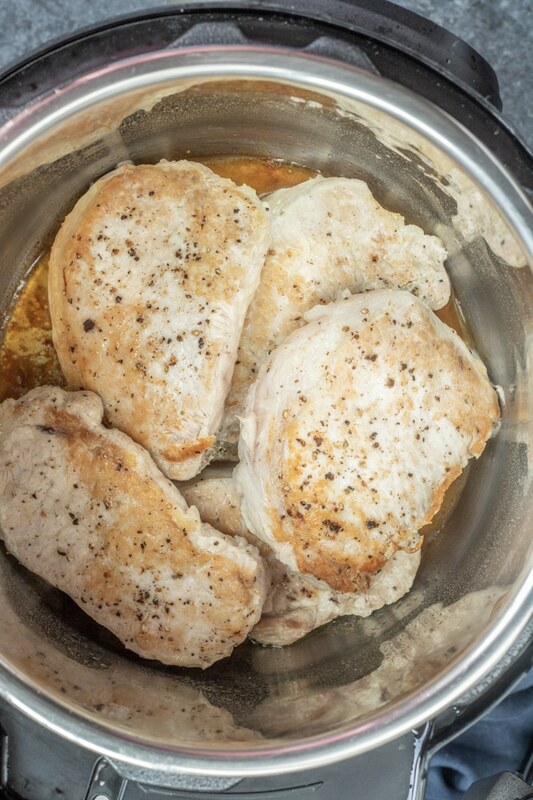 How Do You Cook Pork Chops in the Instant Pot? Set Instant Pot to SAUTE and add the olive oil. Working in batches brown the pork chops on each side. 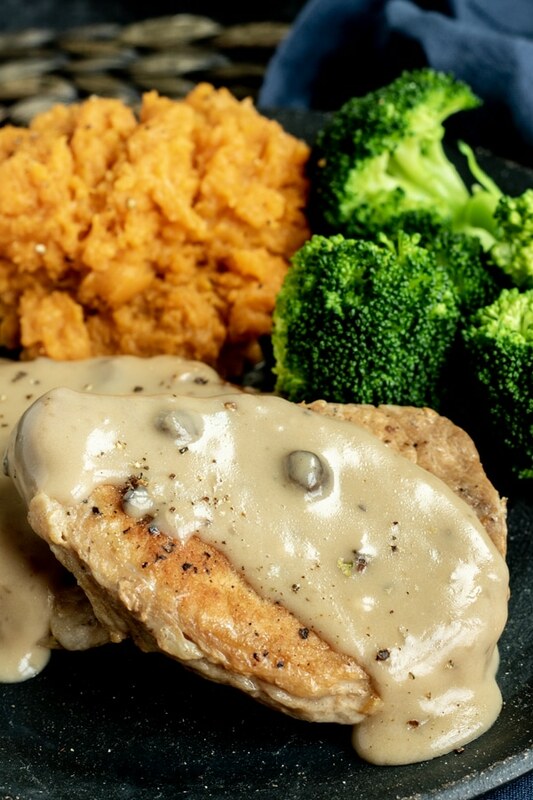 Set browned pork chops aside. Add the browned pork chops, garlic, cream of mushroom soup, beef broth, and Worcestershire sauce to the Instant pot. Lock the lid in place, turn the vent on top to SEALING and cook on HIGH pressure for 10 minutes. After the timer goes off press CANCEL to stop cooking and allow it to naturally release for 15 minutes. Then remove lid. Take pork chops out of the gravy and set aside (cover with foil so they stay warm). Mix the cornstarch and water together until fully combined (no lumps!). Set Instant Pot to SAUTE, pour the slurry of cornstarch and water into the gravy and stir while you bring the mixture to a boil, cooking for approximately 10 minutes or until thickened. Turn off the Instant Pot. Add the pork chops back to the gravy and serve. How Do You Thicken Sauces in an Instant Pot? 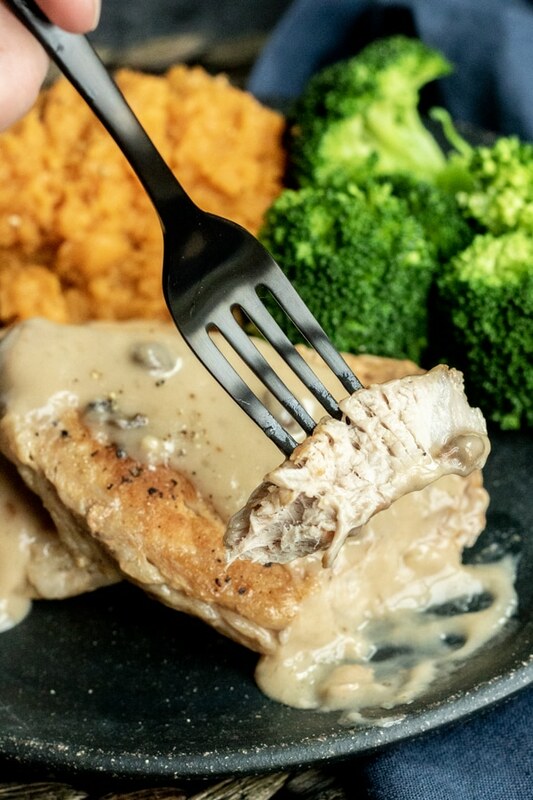 The easiest way to thicken a sauce in an Instant Pot is to set your pot to SAUTE and add a slurry of cornstarch and water to the liquid you are thickening. As the liquid heats up the cornstarch will begin to thicken the sauce. Need it a little thicker? 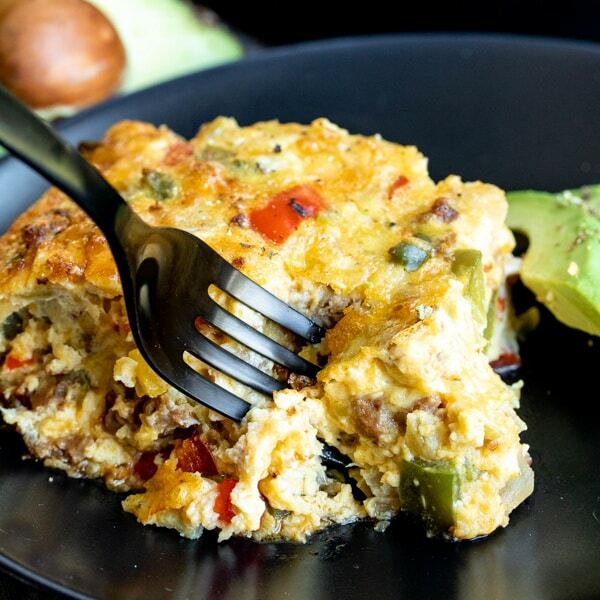 Add a little more cornstarch and water until you reach the consistency you are looking for. Tip: Give it a little time, it doesn’t happen instantly and you don’t want to go overboard on the cornstarch! 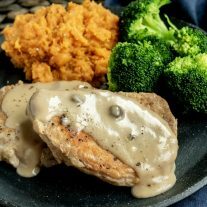 These Instant Pot Pork Chops were a hit! 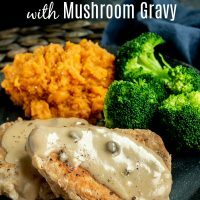 They were perfectly tender and the consistency of the mushroom gravy was just right so it coated the pork chops in a creamy sauce. The gravy helped keep them moist and the leftovers were just as good the next day!